Let the week off of work begin! There will be no Mani Monday today, however, because it's the one day this week I wanted to sleep in. My intention this week is to be able to clear up my queue of things to review. Hopefully I can make that happen. Today I have a couple of polishes from Vapid Lacquer that I have been dying to share with you. Vapid Lacquer polishes are either the big five free, however, the ones I'll be reviewing today are only four free. I'm extremely excited to try out this indie for the first time, so let's get started! 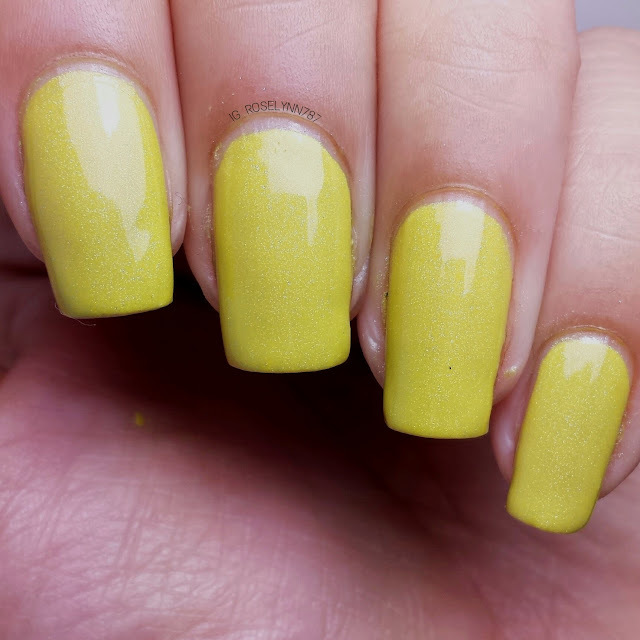 Bananas is a bright yellow holographic polish with a hell-a awesome name, haha. I wish these photos could do the holo effect some justice because it's completely gorgeous in person. It's such a perfect shade for the summer as well. One of my favorite shades of yellow that I've been reviewed for the season. If only I could rock this color though, but yellow doesn't look good against my skin tone. Swatched over a clear base coat, used two thin coats, and sealed with a fast-drying topcoat. Formula was great and easy to work with. I didn't experience any issues. I also found it to be opaque with only two coats, which makes for really fast drying time. 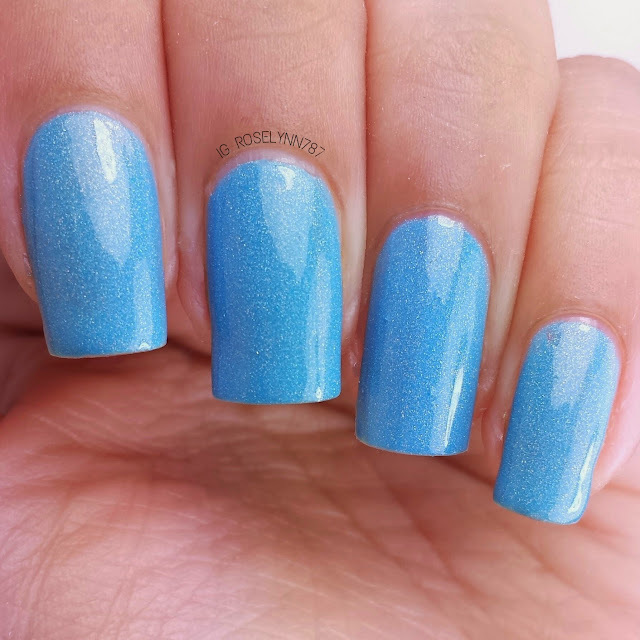 Something Blue is a sky blue holographic polish. My boyfriend loved this polish and was actually upset when I had to remove it, haha. I can understand though, the shade is freaking amazing. I feel like this line should of been released for the summer since every color is so electric. If only you guys could see the holographic shimmer your jaws would hit the floor. Swatched over a clear base coat, used two thin coats, and sealed with a fast-drying topcoat. Formula for this holo beauty worked just as well and gave me no issues. 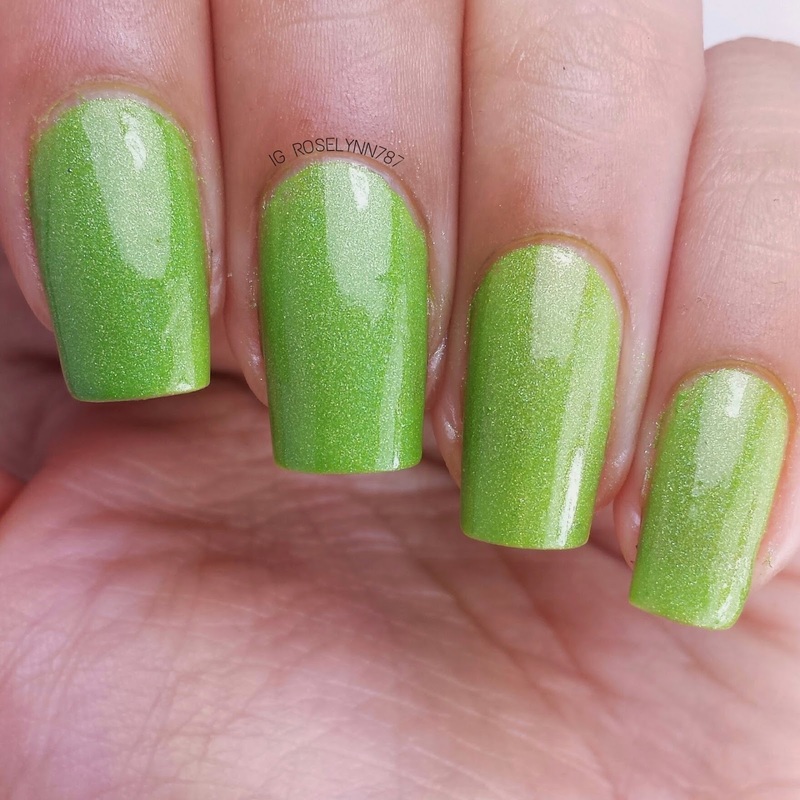 Ribbit is a bright lime green holographic polish. Oh the temptations to hit you guys with some frogs jokes is almost too tempting. But this polish is way too pretty for my lame jokes, haha. A definite must-have for those who love the color green. Swatched over a clear base coat, used two thin coats, and sealed with a fast-drying topcoat. Formula is excellent, no streaking, and was easy to apply. I absolutely love it. Color wise, this will have to be my pick for favorite from the three I have reviewed today. Overall the formula consistency was on point for each and every one of these beautiful colors. The shades featured here just scream fun in the sun for me. Another plus is the fact that these nicely pigmented beauties don't stain whatsoever. Obviously holo does not agree with my indoor light-box but it's definitely visible in natural day light. I'm definitely looking forward to trying out different colors and types (like her new thermal holos aka best of both worlds). 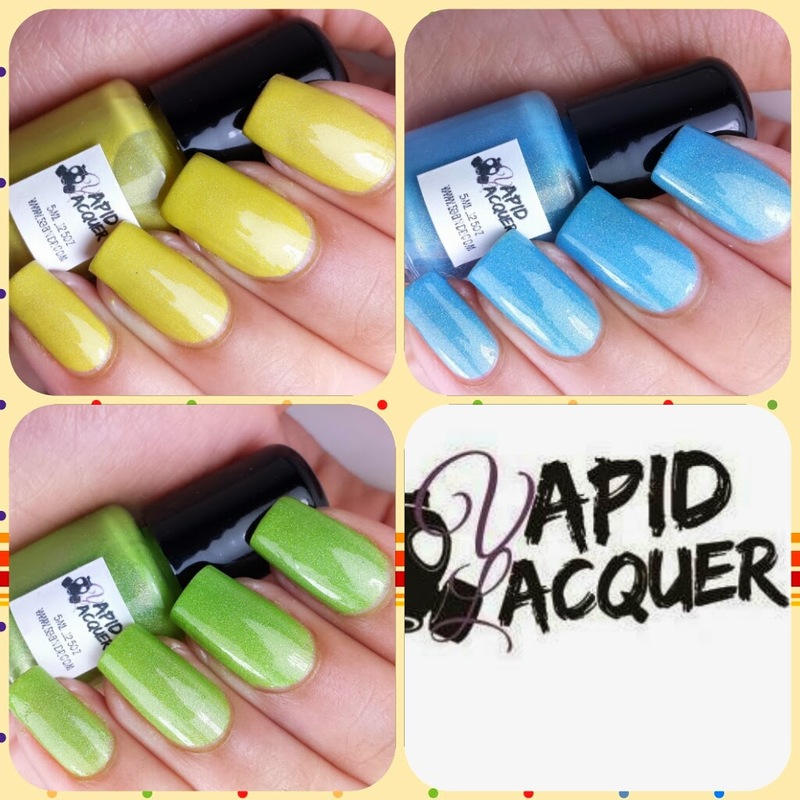 These polishes retail for $10.00 each for full 15ml bottles and $5.00 for the mini 5ml bottles. I used the mini bottles for this review and the brushes didn't give me trouble with the application, unlike some minis I have used in the past. If you're looking to sample without commitment (or if you're like me and don't have that much cash sometimes) then minis are definitely the way to go. Let me know which one was your favorite?! Later and till next time guys, xoxo.